Hello everyone! 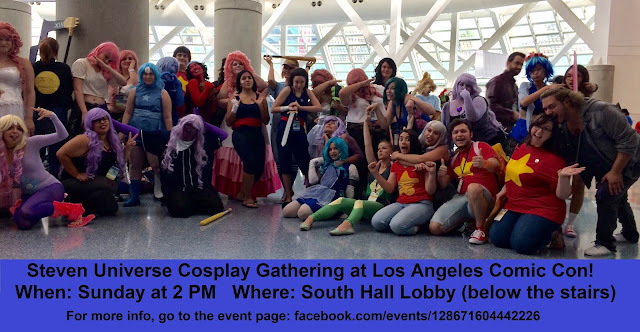 Little Ursa here with a reminder about the cosplay gathering at Los Angeles Comic Con! It's going to be this Sunday at 2 PM at the South Hall Lobby! If you have any questions or want to RSVP, head here to the Facebook event page! Hope to see you there! Steven Universe Fan Comics Episode 9 Blue Power! Fan Theory: How Canon is Save the Light?